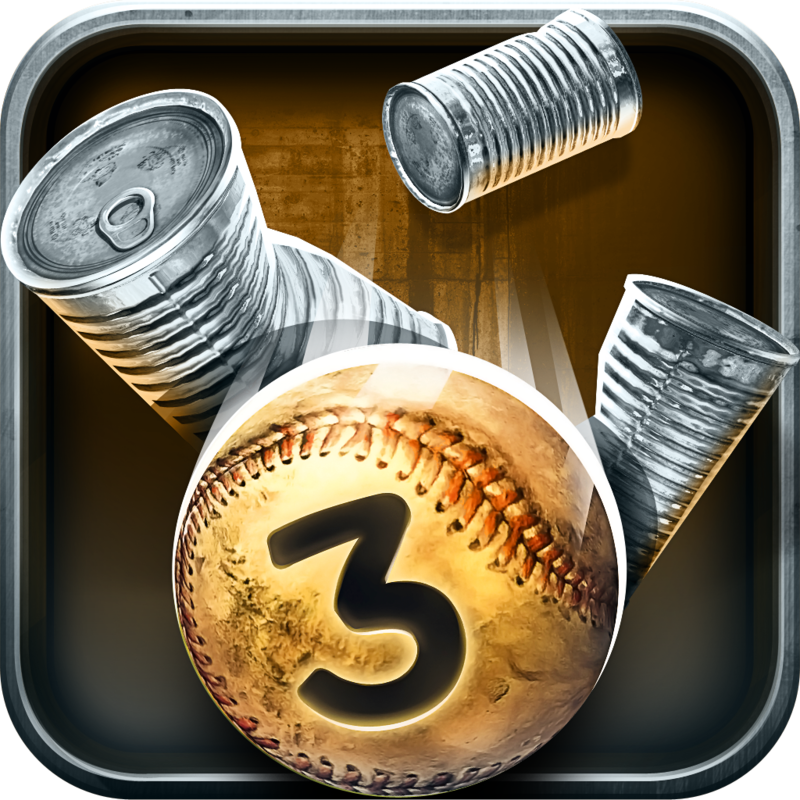 Can Knockdown 3 ($0.99) by Infinite Dreams Inc. is a realistic carnival game experience — you know, without being rigged. 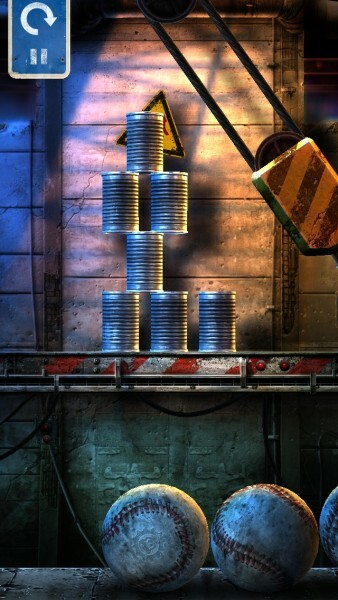 I’m pretty sure we’ve all tried the can knockdown game before, whenever we’ve gone to a carnival or the like. However, most of us probably walked away with the same feeling: frustration. You just know those things are rigged so you can’t win, right? 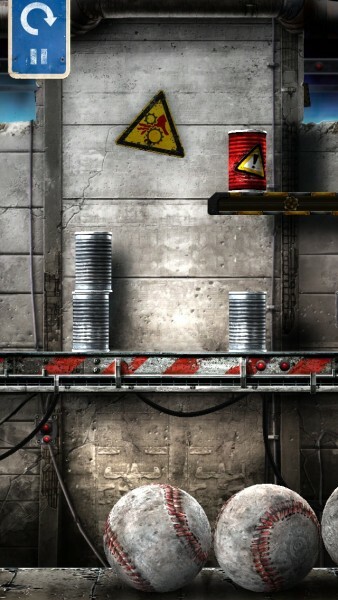 Fortunately, now you can have a much more realistic can knockdown game right on your iPhone or iPad. The only bad thing is that you don’t get giant stuffed animals as prizes, but that’s alright. 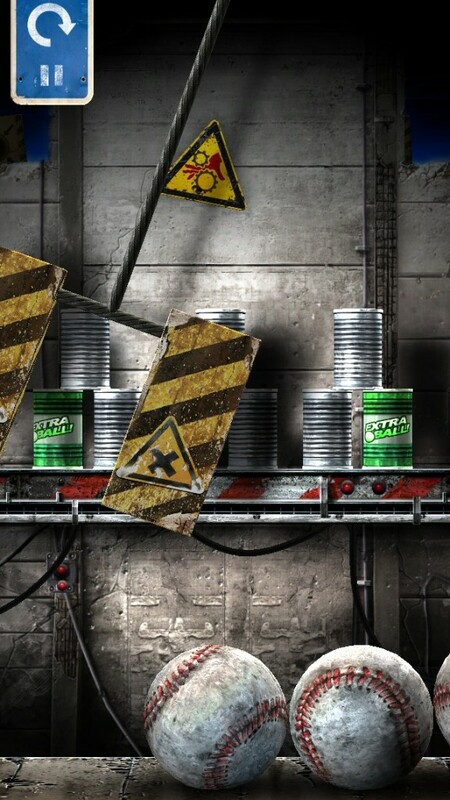 I’m quite impressed with the graphics that are found in Can Knockdown 3. If you are looking for an ideal, virtualized carnival game on your iDevice, then this is it. The visuals are incredibly life-like, and very detailed. The developers could have done something simple for this type of game, but it looks like they went all out. The various environmental backgrounds, cans as well as how they are set up, and even the softballs you’re using to throw — the detail in each visual element of this game is very thorough. The music is also pretty catchy, and you will get the sound effect of a cheering crowd each time you complete a level (or a disappointed one if you fail). 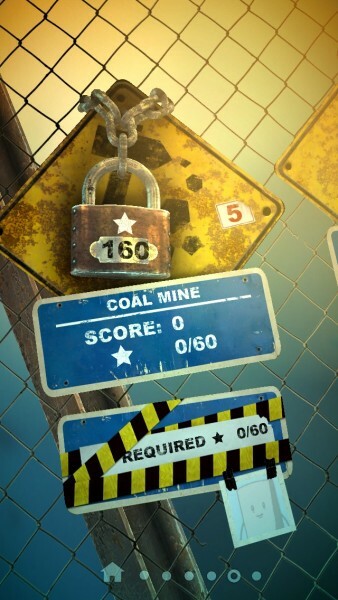 Infinite Dreams really knocked it out of the park when it comes to making a realistic knockdown game. I actually didn’t play the original game or the follow up in 2011, but I think this is as good a time as any to get some knockdown action. There are five different areas for you to knock down cans in. 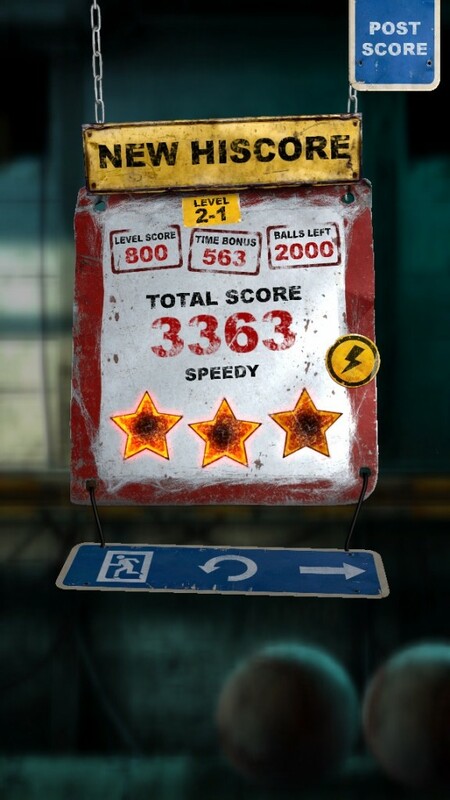 Each area will have 20 levels for you to complete and earn up to three stars on. The stars earned will be determined on how many throws it takes you, any extra balls, as well as how fast it takes you to knock them all down. 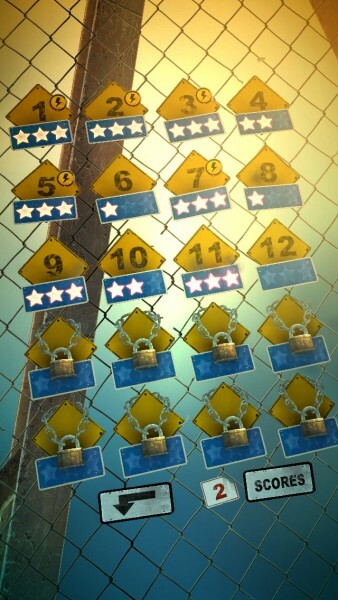 Earning as many stars as you can on each level is very important, as you will need a certain amount of stars in order to unlock the other four areas. The controls are fairly easy. Once the balls roll in, all you need to do is select the one you want to throw, and then flick it upwards towards your target. If you flick hard enough, then it will be a “power shot” and you earn some bonus points for it. 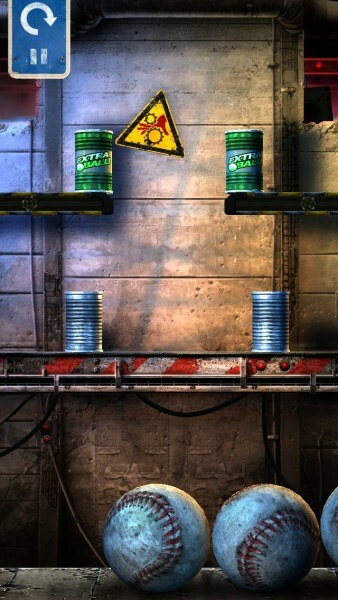 You need to knock down all of the cans with your total number of balls in order to complete the level. If you mess up, you can always restart with the button in the top left. 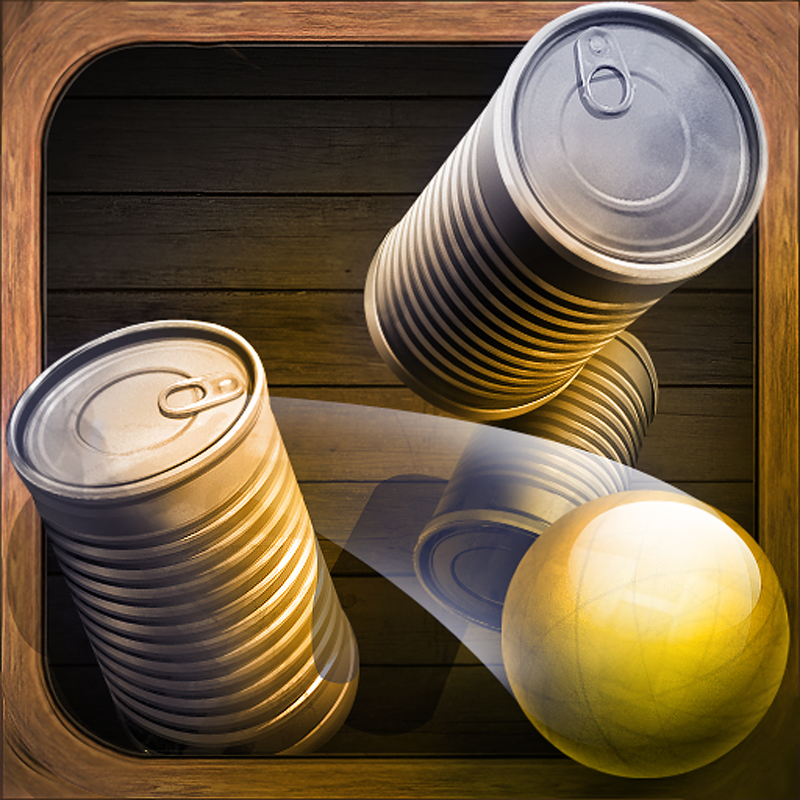 At first, the game will just give you the basic cans, but some helpful ones will be introduced the further you go. You will soon find cans that explode when hit, which can cause a bunch of cans to fall over at once. 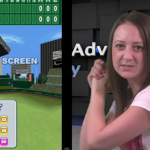 There are even cans that can grant you extra balls when hit, so make sure to take advantage of those. Of course, the setups will change as well, soon introducing moving conveyor belts, swinging cranes and slabs of concrete with narrow openings, rotating platforms, and more. This game isn’t rigged like the real carnival game, but it’s also a lot more exciting as well! 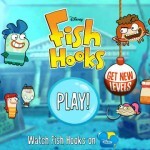 The game comes with full Game Center integration for leaderboards and achievements. If the game itself wasn’t already full of replay value for you, then having 12 leaderboards and 50 achievements should do the trick. 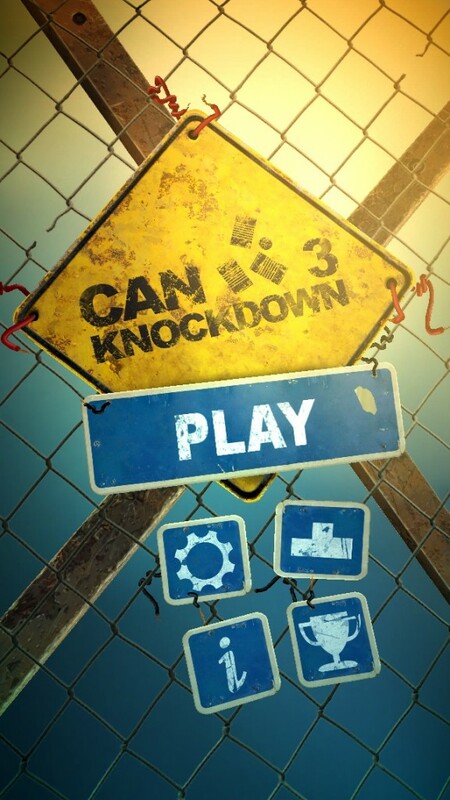 Can Knockdown 3 is a perfect example of a simple and casual iOS game. The game mechanic is incredibly simple, but throw in something like the Power Shot, and it becomes something difficult to master. It’s also a great time waster if you have a few minutes to spare. Of course, don’t get too carried away like me and just waste away a couple of hours to it. 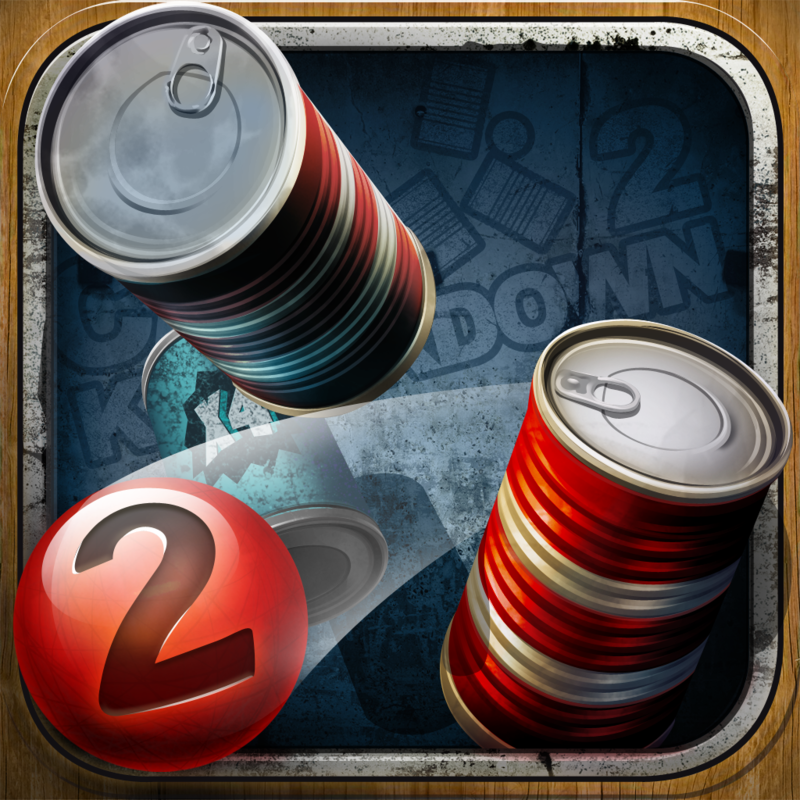 You can get Can Knockdown 3 in the App Store as a universal download for only $0.99.